I have a daughter, and we like to go swimming and fly kites at the various beaches up there. Our favorite thing to do, though, is explore the tide pools. We’ll go to any beach where there are tide pools, really. We find sea anemones, tiny sand crabs—life. It’s extraordinary. Wherever my daughter wants to go, we follow. And she loves Disneyland for obvious reasons, it being the happiest place on earth. 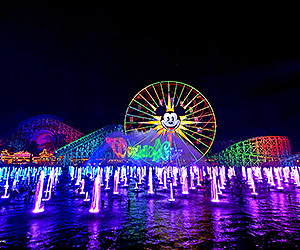 She likes Mr. Toad’s Wild Ride, Alice in Wonderland, and the Toy Story game in California Adventure. She’s surprisingly good at that—she got one of the high scores on her first try! I didn’t know she had that talent. And she loves the parade. They do a great job. Walt figured it out pretty early on. 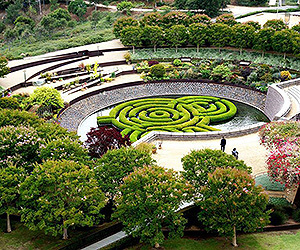 What the Getty provides in terms of culture and art is breathtaking. You can’t do it in one day, which is what’s so great about it. We love both, really, the Villa and the one in Brentwood. They’re fantastic. Anyone who hasn’t been should go immediately. They’re very different. The one in town has extraordinary art from all over the world. 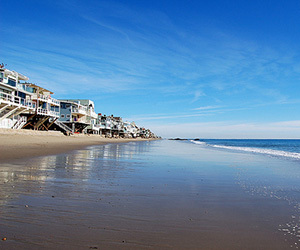 The one in Malibu is geared towards Greco-Roman art and was designed after a Roman Villa. It’s very kid-friendly. They have areas where kids can make art for themselves, like Greek faces that they can paint. It’s fun and informative, which is great. First of all, I love books. 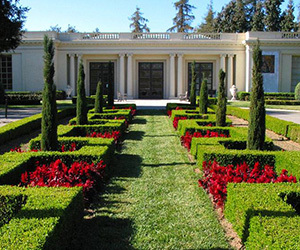 I also love history, and the Huntington Library is a great combination of those two things. The gardens are magnificent; I go sometimes to just read. And the architecture is beautiful. If you want a nice serene afternoon on a gorgeous day, that’s where to go. 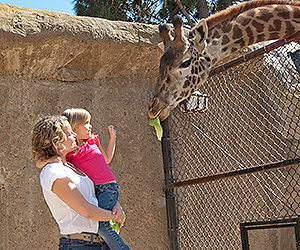 It’s one of the more beautifully designed zoos, and these animals are well looked after and cared for. They were largely responsible for reintroducing the Californian condor. They bred them into numbers so that they’re now safe. And the space is bigger than you think! We were there at feeding time, and the chimps get fed the most wonderful, fresh mangoes while overlooking the ocean. It’s lovely. 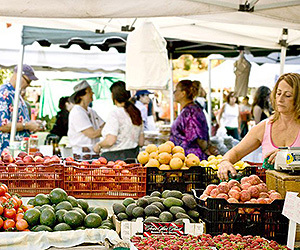 The Santa Monica Farmers’ Market is good, but it’s very busy. This one is more intimate and very well curated. It’s all fresh, organic produce, and a beautiful setting, too. They have everything, from produce to flowers to wine. There are a lot of local chefs and artisans and talented people—there’s one woman who makes cakes out of her own home and sells them there. And they’re beautiful. There are such talented people selling their goods. They’re like craftsman. And you’ll be surprised to find all kinds of food from all over the world. 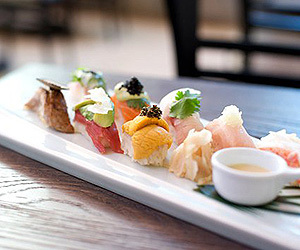 We love sushi, and this place has a fantastic menu. My daughter loves sushi and spicy foods. I don’t know where she gets it from, I was never that way as a kid. But we love the sashimi, and the edamame is gone in 60 seconds. They have this delicious yellowtail sashimi appetizer with diced chilies, and the tuna sashimi carpaccio—forget it. What they do in that kitchen with the different flavors, it’s extraordinary. You have four different things going on in your mouth at once. 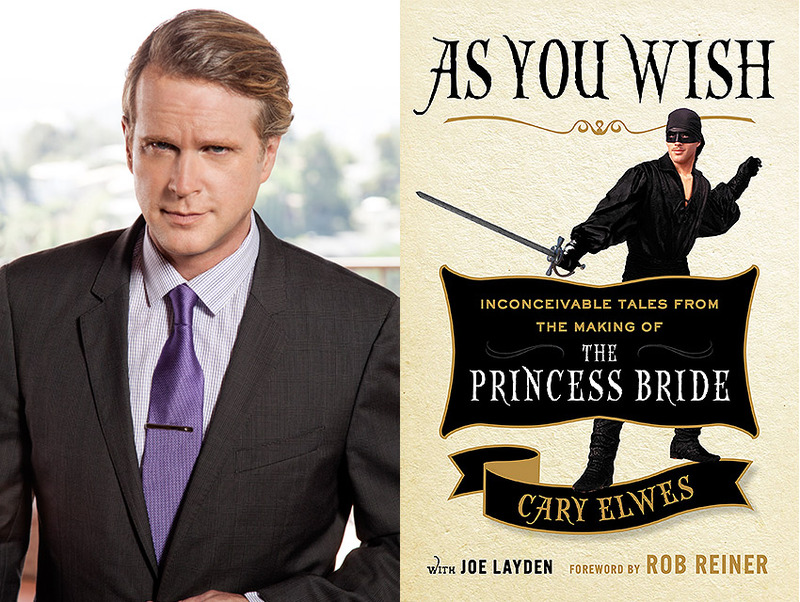 Elwes will be in conversation with Jon Lovitz at Barnes and Noble at the Grove on October 23 to discuss As You Wish. He will also hold a reading at Book Soup on November 17. Follow Elwes on Twitter, Instagram, and Facebook for more news on his new memoir.